If you’ve read The Hitchhiker’s Guide to the Galaxy, or better, listened to the audio book version read by the late, lamented author Douglas Adams, you know that the climax involves the spaceship’s computer singing “You’ll Never Walk Alone” in the face of impending disaster. If you remember that you’ll understand why I had trouble keeping a straight face at church on a recent Sunday when that song was sung as a duet for the offertory. It was beautifully done. It really was. Yet while I don’t think I showed any emotion externally, inside I was laughing hysterically. I think the audio book, which we listened to on our drive down here, has ruined that song for me permanently. Do you remember 1972? We managed to get George McGovern the Democratic presidential nomination over establishment candidate Hubert Humphrey. And do you remember the general election? At Pitzer College I finished my dinner quickly in the dining room at McConnell Center and headed for the TV room in my dorm, Holden Hall. I never even made it to the TV room before women coming out said, “Don’t bother. It’s all over.” We got four more years of Nixon. For my friends who are Democrats, I ask that you think about that before you cast your vote in your state’s primary next year. 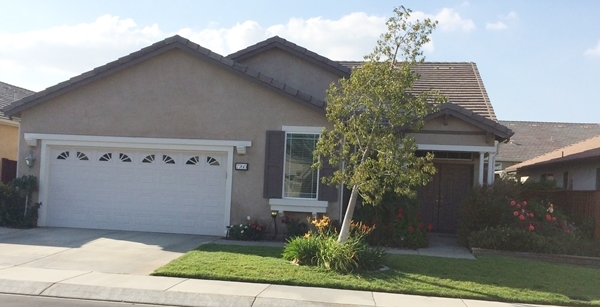 We have a lot of landscaping outside our house here at Four Seasons in Hemet. Even with the transition of the front lawn to artificial turf, there are plenty of plants front and back. And where there are plants there are weeds. So Terry and I spend time pruning roses and other plants and pulling the weeds that inevitably come up. There is something therapeutic about pulling weeds. First of all it gives me the opportunity to listen to a Great Courses lecture or two. But there is another dimension.Somehow pulling physical weeds is cathartic in the sense that I am simultaneously pulling mental and emotional weeds. One of the first decisions Terry and I made about our new home was to replace the front lawn with artificial turf. A lawn on the West Coast does not make sense in the best of times. The idea of a lawn works well if you are in the British Isles or in New England where the weather supports such landscaping. As much as we love our lawns they require a lot of water, which is scarce enough even when we are not in a drought. 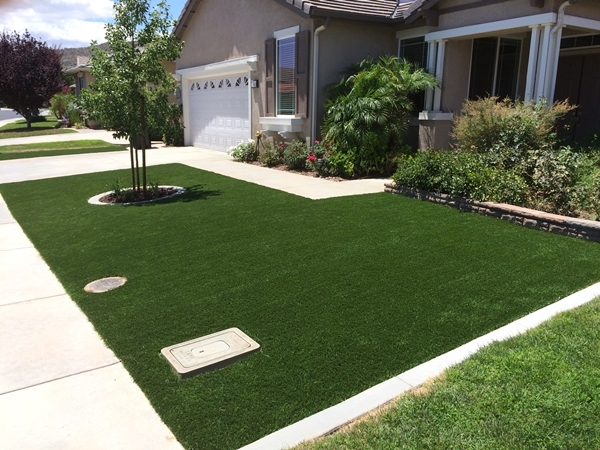 Artificial turf was not our only option, but we considered it to be the best option. 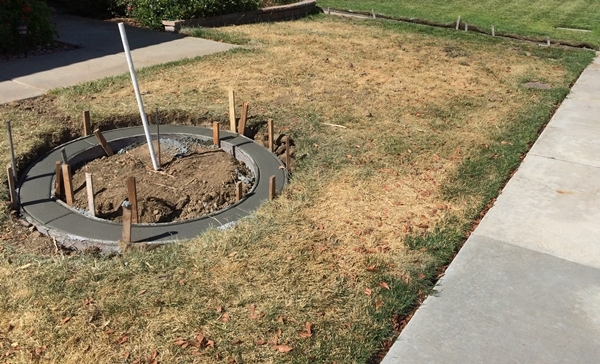 Recent legislation and an executive order by Governor Jerry Brown mean that homeowners’ associations cannot prevent homeowners from letting their lawns go brown during a declared drought. But we wanted to be good citizens of our new community, and brown lawns are not looked on favorably by homeowners, the board and architectural committee, or the management company. Terry and I don’t like the look of a brown lawn for that matter. Drought-resistant landscape would have been another option. The same legislation and executive order also prevent associations from prohibiting such landscaping. I’ve seen some drought-resistant landscaped front yards that looked really nice. But here’s the problem. You have to give drought-resistant plants a lot of water to get them established. 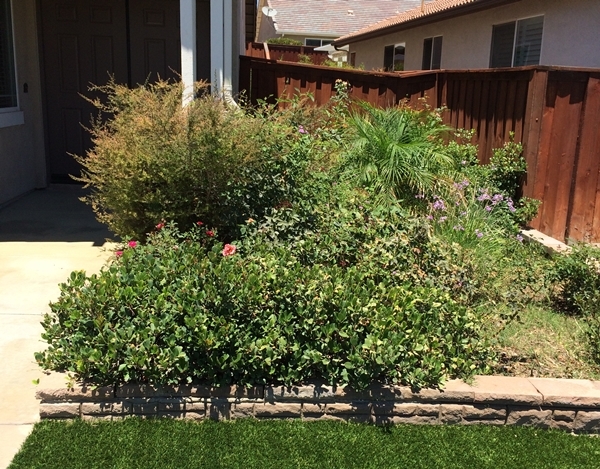 The time to put in drought-resistant landscaping is before a drought year. So we went with artificial turf. The work was managed by a local contractor who both my dad and brother vouched for. He did a great job. Some of the work he did himself with an assistant. He contacted out the concrete work. The artificial turf was done by a company whose sole business is that and pavers. While the whole process took longer than we would have liked, we are delighted with the end result. The neighbors seem happy too. We have no doubt that we did the Right Thing. Taizé Rotterdam, Laudate Dominum. Thanks to Unapologetically Episcopalian. I have written about how I miss the sound of the trains here in Hemet. I do. One evening shortly after we moved here, as we were sitting outside, Terry sipping her wine and I my scotch, Terry said that we had traded our train sounds for the sound of crickets. That really hit me as we were sitting inside in the evening on our very rainy Saturday last week. But I still miss my trains.